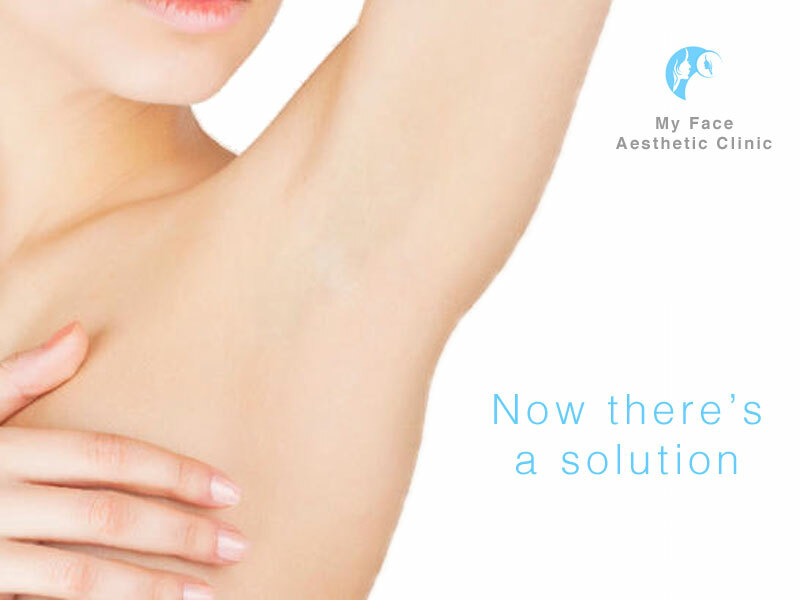 For those suffering from severe underarm sweating – a condition that is clinically referred to ashyperhidrosis – BOTOX® injections from My Face Aesthetic Clinic based in Bolton can help. BOTOX® can be used to treat hyperhidrosis when antiperspirants or other medications fail this is an alternative treatment for those who want to be free from the physical discomfort and emotional embarrassment caused by excessive sweating. BOTOX® injections are for those experiencing profuse sweating of the underarms, hands, and feet. we first evaluate each individual to diagnosis hyperhidrosis and then customize a treatment based on personal needs. The number of Botox units used, injection site, and frequency of treatment will vary with each patient. *Results were based on patients’ responses to a questionnaire (the Hyperhidrosis Disease Severity Scale [HDSS]) that assessed the amount of sweat and extent to which underarm sweating affected their daily activities.